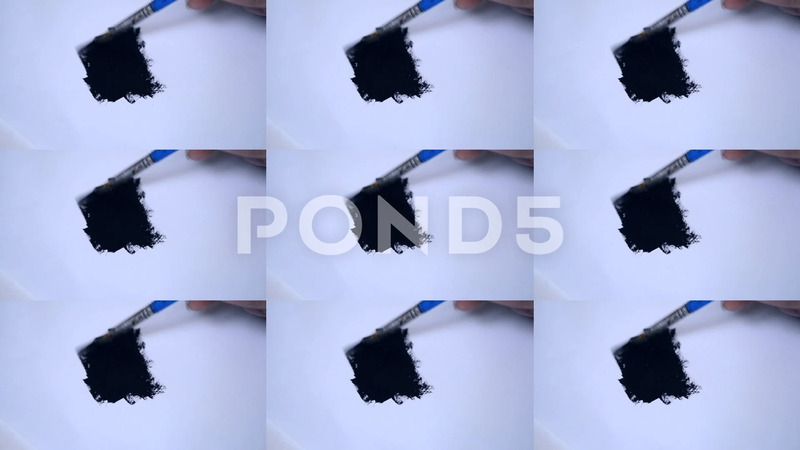 Description: Smearing black paint with a brush on white paper. Drawing with a brush on white paper with black oil paint clise-up. Multicam split screen group montage background. Abstract animation wall.